#ThankBlueYorkPA is a new community initiative to support York County police officers and first responders for their dedication and service to our community. As a result #ThankBlueYorkPA was created, a group of local citizens working together to show York County’s police officers and first responders that we appreciate their efforts to keep us safe For more information call 717-755-1112 ex 10 or go online to #ThankBlueYorkPa​​. 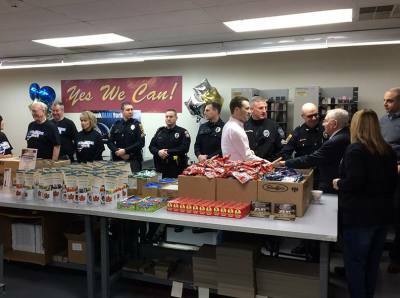 #ThankBlueYorkPA's mission is to support the police officers and first responders of York County, Pennsylvania and their families. We strive to make our community a better place to live and work by strengthening relationships between our police,responders and the people they serve through educational, recreational and community service events. We want to show our more than 700 officers that we appreciate the commitment of those who selflessly serve our communities. 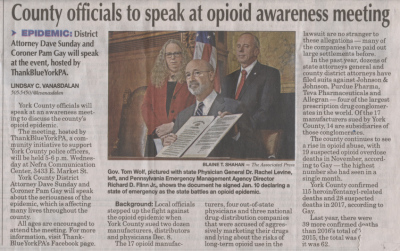 And we seek to form lasting ties between local law enforcement and our communities and help raise awareness of critical issues, such as the Opioid crisis, and create partnerships between community/police to help identify pro-active solutions.